I’m guilty of rarely using my camera off auto (or automated settings – I use Program Auto and the Grainy Black & White Art Mode most), but I wanted to try to capture the motion of the spinning windmill. This was handheld, shot on shutter priority at f/22 1/40s. 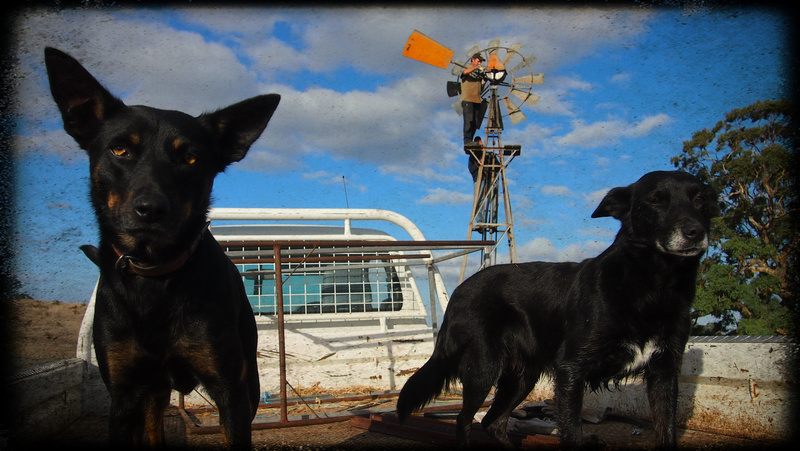 This is Ginny, a sweet old black Kelpie, who acts all standoffish, then gets silly when you show her some attention. Please click image to view lickiness full size. 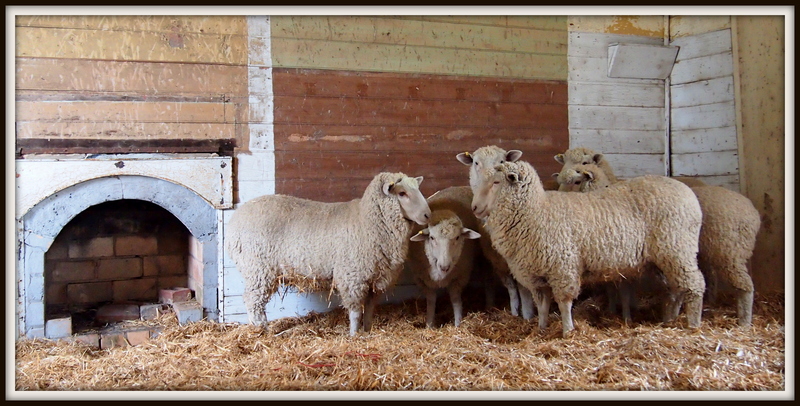 Aforementioned sheep, holed up in an old school. Having heard the sound of a soft footfall on the floorboards of this old school building at Tooan, I tentatively peered through the window to find a small gathering of sheep inside. They were nervous but put up with my intrusion of their digs.